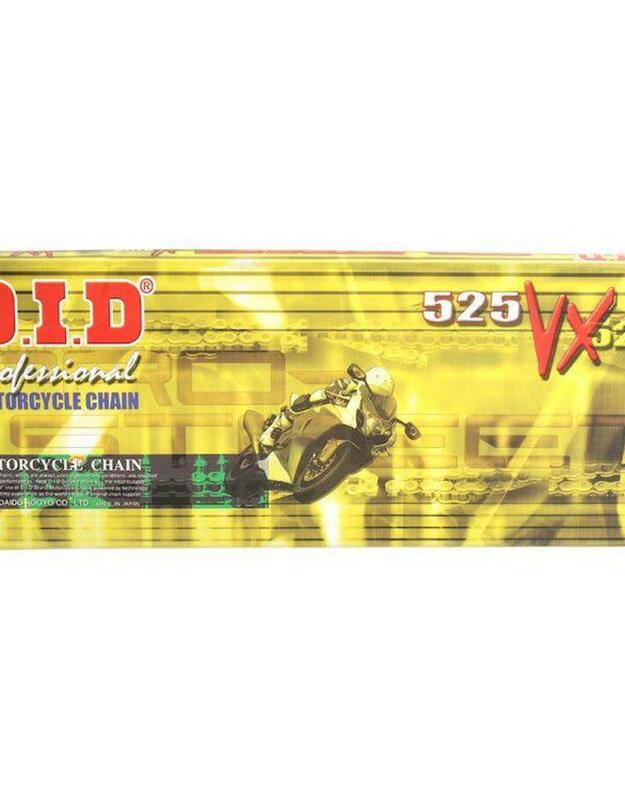 In our opinion D.I.D chains are the best chains on the market. 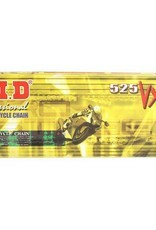 VM Series Chains have superior strength to withstand the tremendous horsepower of current high performance motorcycles. D.I.D X-Ring reduces friction by twisting between the side plates instead of being squashed. Normal O-Rings and other makers' modified O-Rings have squashed points that increase friction. The twisting resilience of the X-Ring's four sections greatly increases its sealing performance. This keeps the dirt out and the lubrication in much better than any other O-Ring.X-Rings have the greatest wear resistance of any other type of O-Ring or Non-O-Ring chain. The patented low friction X-Ring is used for maximum performance.